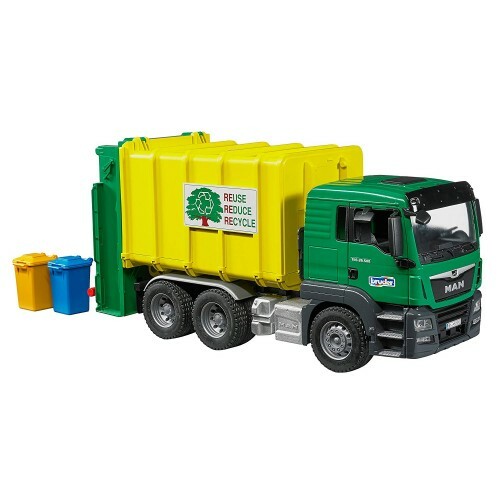 With our amazingly realistic Bruder MAN TGS Rear Loading Garbage Truck - Green & Yellow, pretend cleaning and recycling is easy and fun! 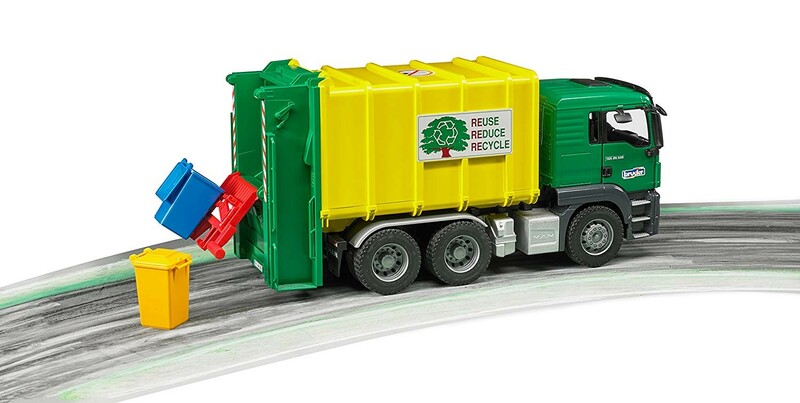 Our imaginative city will look so clean now! 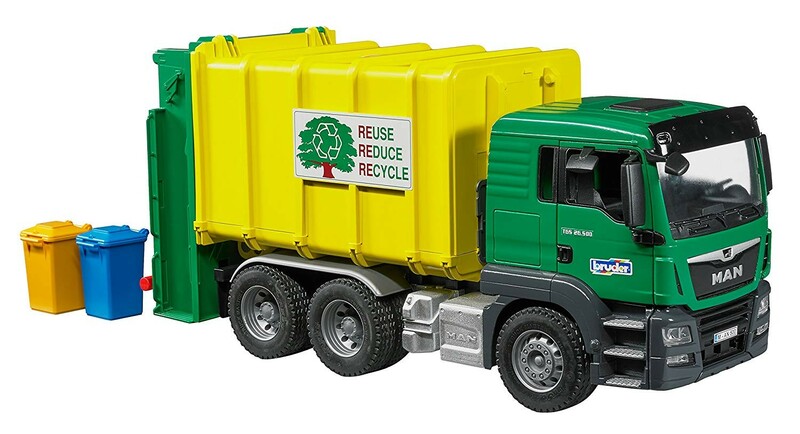 With our new amazingly realistic Bruder MAN TGS Rear Loading Garbage Truck - Green & Yellow, cleaning and recycling is easy and fun! 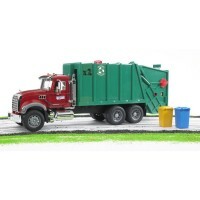 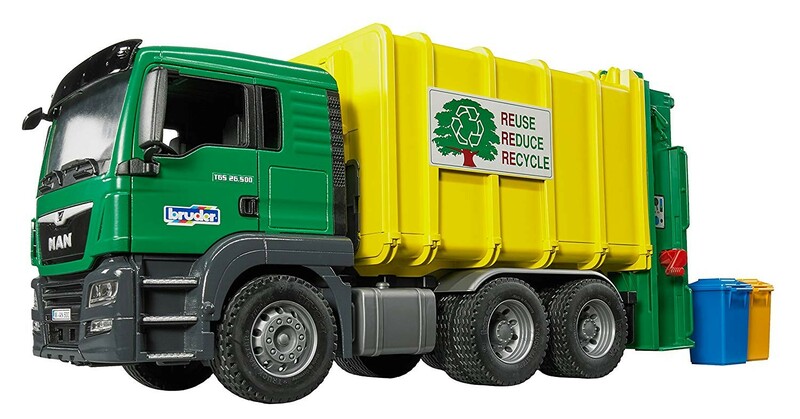 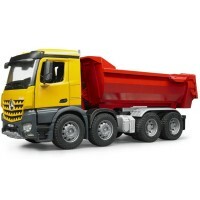 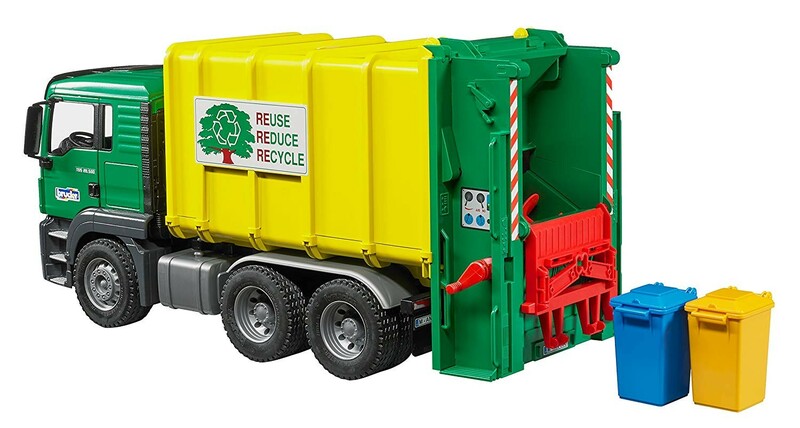 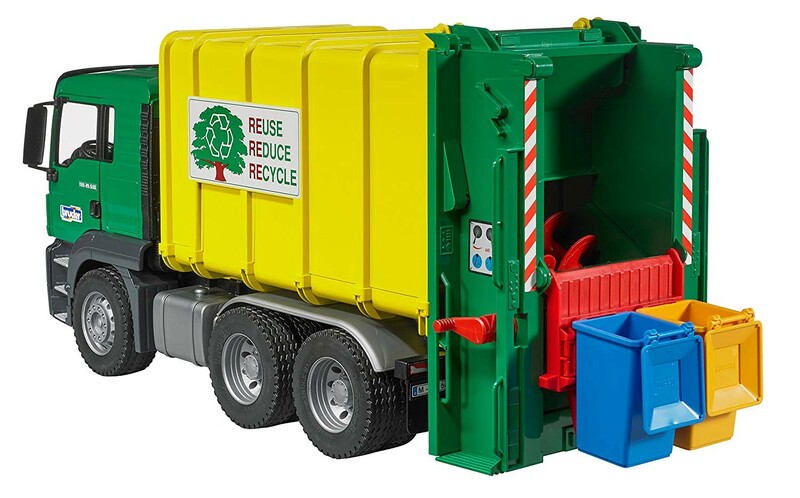 Educational Toys Planet is proud to offer this top quality play garbage truck by Bruder to all young vehicle fans. 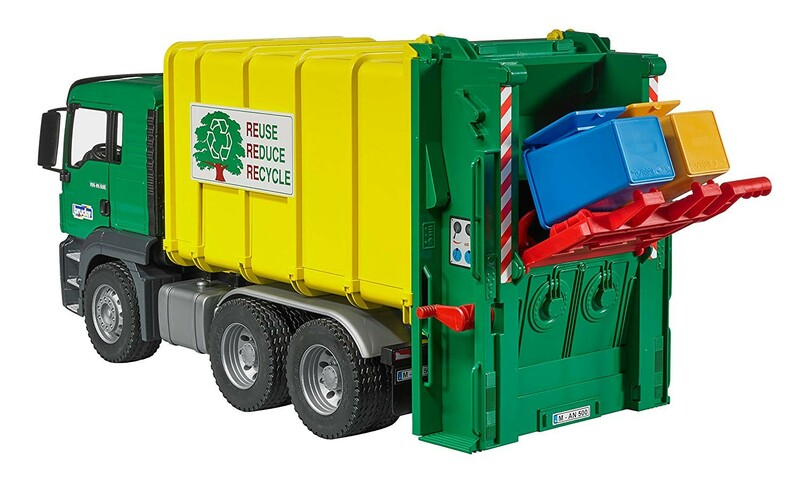 This bright yellow truck with green cabin comes with so many moving parts and functions, that hours of pretend play is guaranteed to your child. 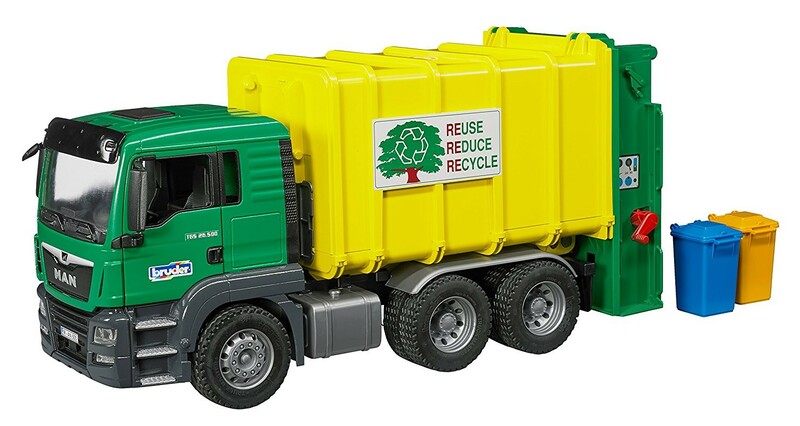 The play utility vehicle is made on a scale 1:16 of fade-resistant quality ABS plastic. 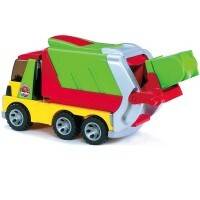 The new garbage truck comes with the hinged carrier plate to unload 2 small toy garbage bins. 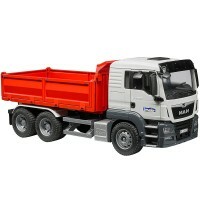 The truck's cab tilts forward to demonstrate the detailed engine and features folding mirrors. 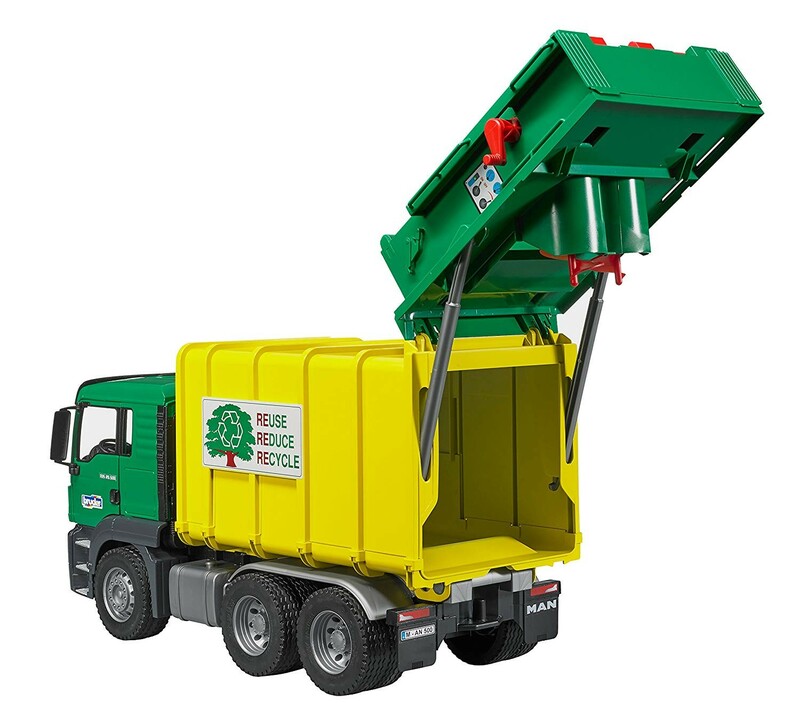 The garbage/recycling truck even has a lift gate that opens to dump the garbage from its inside. 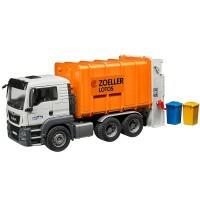 This kids rubbish removal truck comes in orange or green/gray color combinations. 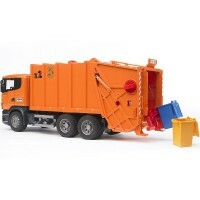 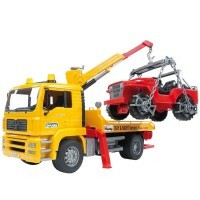 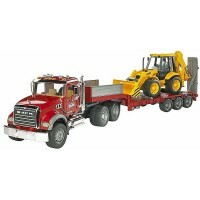 Your children can play with this toy garbage/recycling removal truck indoors or in the backyard.Check description!!!!!! 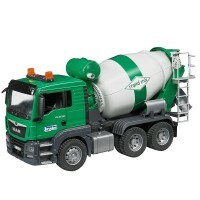 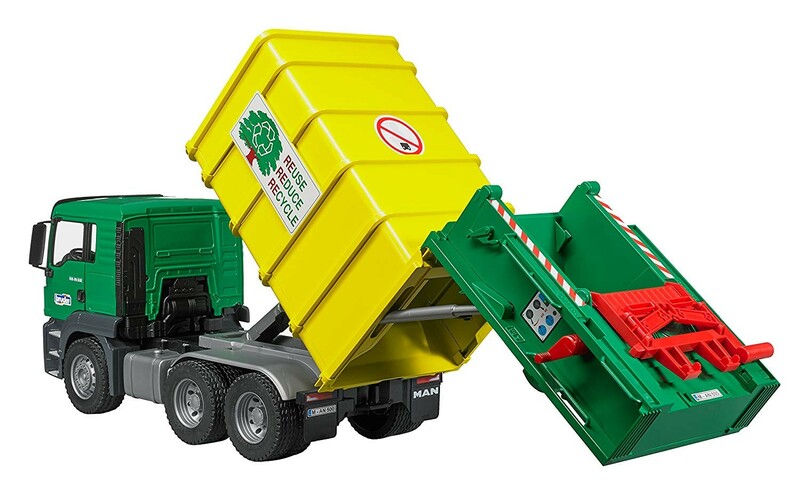 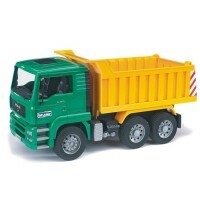 Write your own review of Bruder MAN TGS Rear Loading Garbage Truck - Green & Yellow.